The President of Ireland, Michael D. Higgins cited and quoted my work in his recently published book (When Ideas Matter, Michael D. Higgins (2016)) and acknowledged his research in the inaugural lecture of the Annual Distinguished Lecture series of the Institute of Life Course in NUI Galway. Irish Times published my comment on the famous spread-sheet error issue. The summary of the deliberation of the workshop titled Finance, Sovereign debt and the Eurozone crisis was published as an open letter, Alternative Vision for the Eurozone Crisis, in various blogs, like Heterodox, Naked Keynesianism, Triple Crisis etc., and also in news papers in Italy (Il Mainfest), Spain (Publico), India (EPW) and Argentina (Pagina 2). Media coverage in India on the Modern Finance and Macroeconomics winter school that I organised with my research collaborators, Prof. Vishwesha Guttal and Prof. Srikanth Iyer in the India Institute of Science (IISc). (2017) Dismissing Domestic Violence as a Private Matter Ignores Adverse Impact to the Economy. My philosophy and practice of teaching draw from the wisdom and inspiration of Rabindranath Tagores magical words. I consider knowledge as the light that burns the darkness in the human mind and the duty of the teacher is to ensure that the light burns eternally. Thus, by continuing to hum his/her own flame, the teacher has to perform the critical role of reinvigorating the light of knowledge. My research is multidisciplinary. I have collaborated with Physicists, Mathematicians, Engineers, and Ecologists. My publications testify the diversity and the nature of my collaboration with scientists from the Sciences. 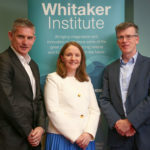 In my capacity as Associate director of the Whitaker Institute, I have initiated many interdisciplinary workshops and seminars within NUIG. I have a very extensive collaborations with scientists in diverse domains across various research institutes and universities like Santa Fe Institute in the US, Jawaharlal Nehru University, Institute of Mathematical Sciences and Indian Institute of Science in India. Artificial Financial Markets with Human Agent Interface with Dr. Laurentiu Vasiliu, Professor Jim Browne, and Mr. Daniel Paraschiv, NUIG. Business Cycles and Growth with Dr. Petri Piiroinen, School of Mathematics, NUIG. Economic Development, Gender and Identity with Dr. Nata Duvvury in Department of Sociology and Political Science, NUIG. Money, Economy and Crisis  This work is in collaboration with an eminent economist Professor Amit Bhaduri at the Jawaharlal Nehru University, New Delhi, India; Professor Srikanth Iyer and Dr. Vishwesha Guttal in the Indian Institute of Sciences, Bangalore, India.